When I was working for the Santa Cruz County Sheriff’s Office as a young Deputy Sheriff, I would occasionally be tasked with enforcing Vehicle Code Law in the unincorporated parts of Santa Cruz County. Vehicle Code Law, much like Penal Code Law, is very definitive and explicitly clear when defining the conditions under which a law is broken. There is no “gray area” and the “drivers intent” is not accounted for. Man’s law is very clear-cut and a black and white matter. The Code was either broken or it was not. In addition, to reduce the likelihood of bias for the enforcing Officer, specific offenses result in a specific fine or punishment. This is also clearly defined by the Law. I remember feeling somewhat “hand-tied” and bound by mandated enforcement when I observed drivers breaking traffic Law: Running red lights, speeding through stop-signs, passing school busses, and recklessly changing lanes. When I would activate my red-lights and pull the driver to the side of the rode, I always politely explained the reason for the traffic stop, and educated the driver on the Law that had been broken. I also explained, as professionally as I could, that I was bound to enforce the Law, and a ticket would be issued. The drivers recourse, if they disagreed with the Law, was a Judge. Not arguing with me, or attempting to make their case on the side of the rode. Their driving was the Cause. The ticket was the Effect. Straight forward. Simple. Predictable with mathematical reliability. Years later I realized the binding nature of another Law that makes Penal Code and Vehicle Code Law, regardless of the consequences, pale in comparison. Weather you prefer to articulate it as Gods Law or Universal Law or Karmic Law – we are accountable to another Book of Law every moment of our lives. When we are lawfully abiding by this great Law – our lives are in perfect harmony, abundance effortlessly flows to us, miracles are a regular part of our experience, and joy fills our waking moments. When we break this great Law, we experience grief, sorrow, poverty, stress, difficulty, anxiety, and heartache. The nature of Law is binding and without exclusion. 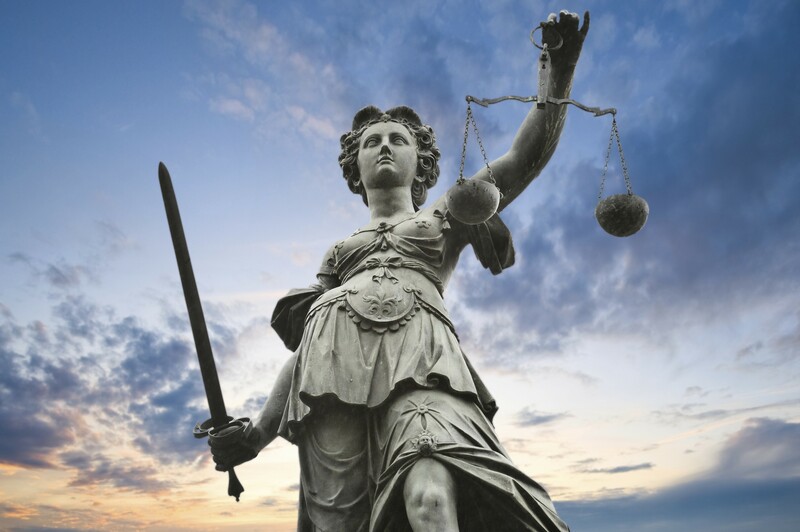 When the Law is broken, the “scales of justice” are tipped, and by Law, they must be righted. Cause and Effect. Think of the Law of Gravity – one of Gods Laws. If you walk off the edge of a tall building, the Law of Gravity does not care what kind of person you were, what you were thinking in that moment, or what your intent was. You are subject to the Law in all it’s power. This is the nature of all of Gods Laws. Every Action plants the seeds of a Reaction. Think good Thoughts. Speak kind Words. Practice Loving Actions. This is the Way of the Warrior of Light.